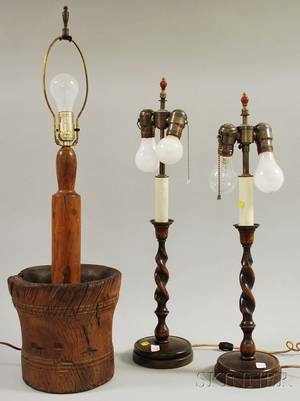 Red toleware syrup, 19th c.
Pair of Oak Barley-twist Candlestick/Table Lamps and a Burlwood Mortar and Pestle/Table Lamp. 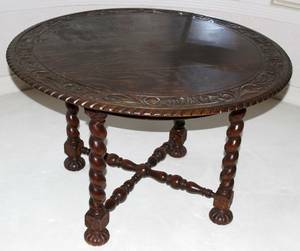 English Mahogany and Oak Spider-leg Side Table. 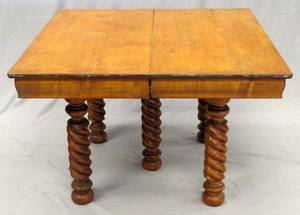 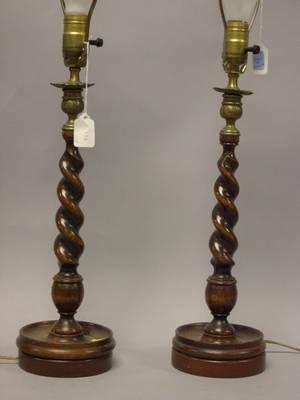 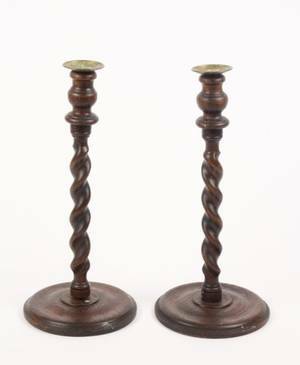 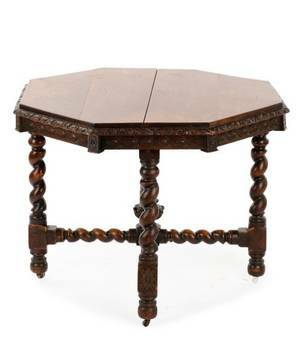 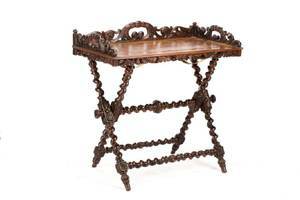 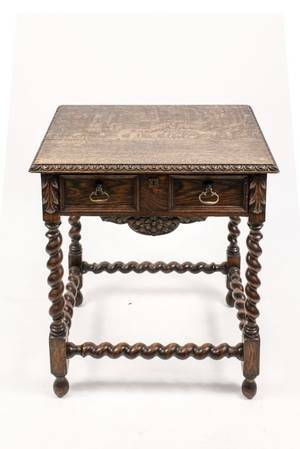 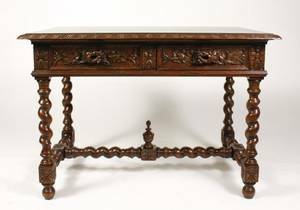 121482: ENGLISH OAK BARLEY TWIST TABLE, H 28", DIA 44"
AMERICAN BARLEY TWIST DINING TABLE EARLY 20TH C.
Pair of English Carved Wood Barley-twist Candlestick Table Lamp Bases.